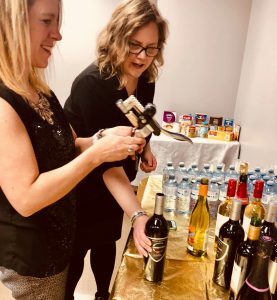 DiSH Events – Serving up value in a unique, flexible and sustainable event space in York Region. Serving up value in a unique, flexible and sustainable event space in York Region. DiSH Events is an event management company in Aurora, Ontario that creates business opportunities through events in a unique, flexible, and sustainable collaboration space, called DiSH. We strive for DiSH to be the go-to event destination in York Region and we look forward to welcoming you. This 2000 square foot venue hosts events ranging from pop-up shops to lunch and learns, exercise classes, workshops and business meetings. Every event is designed to foster a community of facilitators and attendees that support, inspire, and collaborate with each other while having fun and being active. We have a passion for supporting, connecting and producing lasting affiliations with small business owners, expert speakers, charities, entrepreneurs, sports organizations, and corporations in York Region and beyond. We love working with community collaborators on checklist items like catering, décor, child care, and entertainment. Events can be managed by us from start to finish or executed independently as part of a rental agreement for the use of DiSH. Our bright and airy home away from home atmosphere will provide you with the space to hold the event of your dreams, that are aligned with your personal, strategic and financial goals. “I have had the pleasure of hosting a few events at DiSH Events, all unique in their event needs. The space at DiSH is a flexible space that lends itself beautifully to a variety of different types of events, with sufficient space to set up in unique ways. It is a clean space with access to loads of parking and is conveniently located near some restaurant options too. Our mission is to provide a unique, flexible and sustainable collaboration space for you fun, active and interactive events in York Region. Our vision is to be the premiere event management company and event venue in York Region. We believe our expertise, passion, and customer centric approach will bring the event of your dreams to life; on time and within budget.